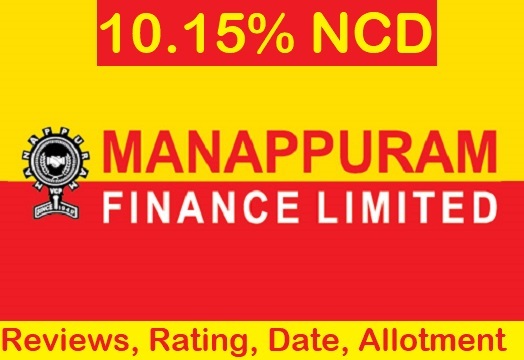 Manappuram Finance NCD FEB 2019 Public Issue: Manappuram 2019 NCD Details, Features, Credit Rating, Reasons to Invest, Price, Date, Allotment Status, Listing, Reviews, Status & How to Apply? As we all know plenty of NCD is all set to be launched. One among is Tranche II of Manappuram Finance Secured NCDs. Yes, you heard it right, Manappuram finance NCD 2019 would open for subscription on 28th January 2019. The interest rate proffered by the fixed deposits schemes may have touched the lowest levels which compel the investors to look out for other better investment options. The Manappuram Finance NCD offers is all set to propose 10.15% interest rates which are hard to resist by the investors. Lucrative interest rate from NCD would definitely attract the investors. Should you invest in manappuram NCD. Stay tuned with us till the end to know details about Manappuram Finance NCD 2019 also check New NCDs in 2019. How to Apply for Manappuram Finance NCD? Should you Invest in Manappuram Finance NCD Jan 2019? Issue end date: 27-Feb-2019. However, based on oversubscription it can get close before that. Tranche II NCD’s are available in 7 options. It offers NCD for 3 years, 5 years and 86 months (2,617 days). Interest rates are between 9.35% to 10.15%. The minimum investment is for the 10 bonds. Means, you need to invest for a minimum of Rs 10,000. Beyond this, you can invest in multiples of 1 bond. These NCD’s are rated as CARE AA/Stable by CARE Ratings and BWR AA+ Stable by Brickwork Ratings. The Current Tranche II issue size Rs 150 Crores with an option to retain another Rs 587 Crores totaling Rs 737 Crores. Manappuram Finance Limited is one of the leading and topmost names in nonbanking finance corporation NBFC. The company lends loans against the pledge of household and/or used gold jewelry and provide short-term personal and business gold loans primarily to retail customers who require immediate availability of funds, but who do not have access to formal credit on an immediate basis. Its Gold Loan portfolio as of March 31, 2018, consists of approximately 2.25 million customers aggregating a principal amount of ₹ 117,349.82 million in Gold Loans, which accounted for 76.21% of its total loans on a consolidated basis. As of June 30, 2018, they disbursed Gold Loans to customers from a network of 3,331 branches of the company in 28 states and union territories of India, including 2,236 branches in the southern states of Andhra Pradesh, Telangana, Karnataka, Kerala and Tamil Nadu. NCD are fixed income instruments that are issued by high rate top companies. Such NCD bonds usually come up with a lucrative interest rate. Investors are forever lookout for improved and sustainable schemes. Like any other traditional fixed deposit, NCD too is a fixed income investment with a specific term and interest term. Let us now draw light on the Features of Manappuram Finance NCD Jan 2019. Here are the credit ratings. The rating of the NCDs by CARE and Brickwork indicates a high degree of safety regarding timely servicing of financial obligations. When Manappuram Finance NCD Jan 2019 is proposed to be listed on stock exchanges? The Manappuram NCD is all set to be listed on BSE. The NCDs shall be listed within 6 Working Days from the date of the Issue Closure. Investors should always gauge whether the company is making considerable profits. This would create confidence among the investors that would be paid from such profits without any delay or issue. The investors would apply for these non-convertible debentures through the demat account, hence there would not be ant TDS deduction. Income tax on the interest will solely depend on the individual tax slab. Means whether the company deducts the TDS or not, you should show the interest income on the income tax return and pay the necessary tax. If you plan to sell the Manappuram NCD before the one year and there are some short term gains you are required to pay short term gains which are based on your income tax slab. investors should keep in mind that informed decision will help you gain profits. The company has witnessed consistent and remarkable profits in the last 3 years. Its profits were at Rs 337 Crores in FY16 Vs Rs 700 Crores in FY18. In an event of nonperformance of the company and the company gets closed for some reasons, NCD investors would be getting preference in the repayment of capital along with interest. Hence, it is regarded as safe to invest in secured NCD. Basics of Stock Market How to Earn From Share Market? Why not invest in NCD? IL&FS have created a fuss in the minds of the investors whether to invest in such NCD companies. The Company and its director are involved in certain legal and other proceedings including criminal proceedings in India and may seem certain liabilities as a result of the same. Its business is subject to various rules and legislation. it is to be noted that future regulator amendments have a material adverse effect on its business. Company and its subsidiaries are subject to the inspection from RBI and NHB. The company non-compliance with RBI or NHB operation may hamper its subsidiaries business. Microfinance loans proffered by its subsidiary, AML, are unsecured and are susceptible to various operational, credit and political risks which may result in increased levels of NPAs, thereby adversely affecting its business, results of operation and financial condition. The new Bankruptcy Code may affect its rights to recover loans from borrowers. its subsidiary, MHFL being an HFC, has significant exposure to the real estate sector and any negative events affecting this sector could adversely affect its business and result of operations. Manappuram Finance NCD is available only in the demat form. You can consider applying online or approach any registered broker for the same. Manappuram Finance offered secured NCD. Investing in such NCD would be of higher risk, especially when companies are facing a liquidity crunch. Do you still want to invest in such NCD then? These NCD’s are for 3 years, 5 years and 86 months (7+ years). Do you want to park your money in high-risk NCD for the long term of 5 or 7+ years? Parking money in high-risk options for a long time is not advisable as no one can predict what happens to companies in the long term. You can look for investing in 3 years secured NCDs as these are for short term and they are secured in nature. Its NPAs are very high compared to other companies in NBFC companies in India. In the future, there could be an issue in delays in payment of interest if they start writing off money and their profits shrink. Are you convince or okay with this? I hope you had a great time reading about the Manappuram Finance NCD. If you like it, please share it among others via social media. We at Investor academy aims to deliver you with the best and updated information. stay tuned for other posts. Last, but not least, do not forget to like and subscribe us.